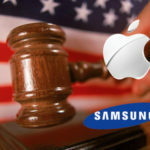 A couple of months back, we reviewed Us+U‘s trademark swivel cases for iPad 2nd/3rd Gen & Kindle Fire and today, we’ll check out the company’s latest addition to its lineup of iPad 2 and New iPad cases called the Swivel ProFolio™. As the name indicates, it is a portfolio-style iPad case that also features Us+U’s patent pending self-adjusting hand strap, allowing it to rotate 360º in either direction. Two-panel, lightweight iPad 2 / New iPad case. Self-adjusting handle, offering a full 360º rotation of iPad with only one hand. Flush-mount kickstand that positions the iPad at an ideal angle for typing. Convenient elastic loop for holding a pen or stylus. Ideally positioned and cleanly finished portholes & cutouts. Made of the highest quality, ballistic nylon and lined with micro-fiber suede. Even at first glance, once can tell that the Swivel ProFolio™ is a much superior product from the company’s previous offering, both in terms of build quality and design. Made with finest quality ballistic nylon exterior, the case not only feels durable but also looks sleek and professional. 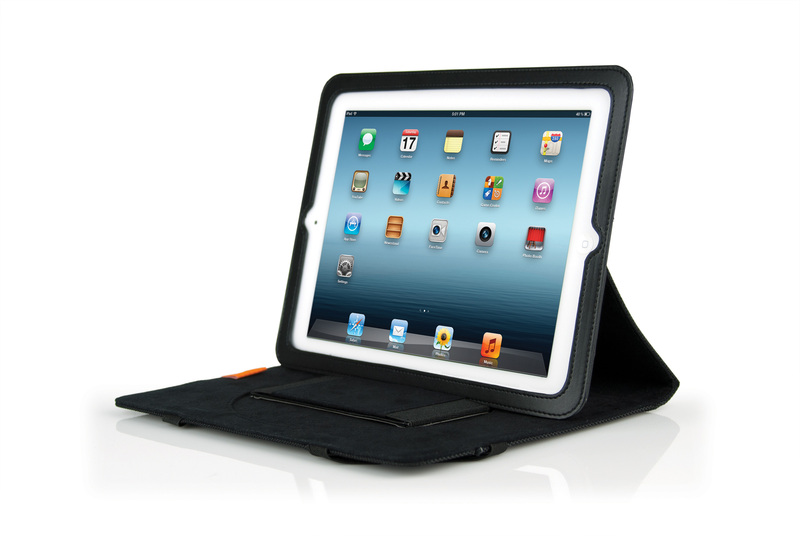 A micro-fiber suede inner lining protects the iPad from scratches. 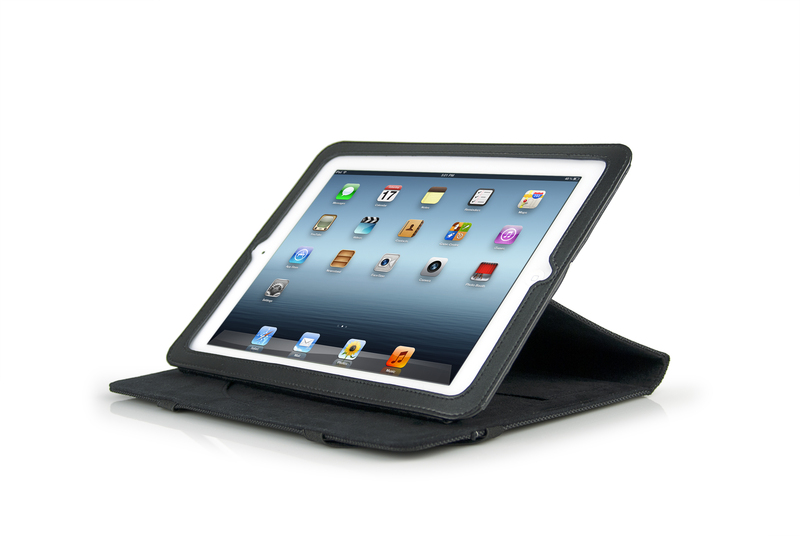 Unlike most portfolio-style cases, ProFolio’s front lid does not include magnets to lock and unlock the iPad. It does however host a couple of bands, one across either right corner of iPad, that flip to the other side to hold the lid closed firmly at front or the rear when using the hand strap. It also serves to hold the iPad in place when using the built-in flush kickstand. The front lid also hosts a wide, handy pocket to hold a bunch of papers. 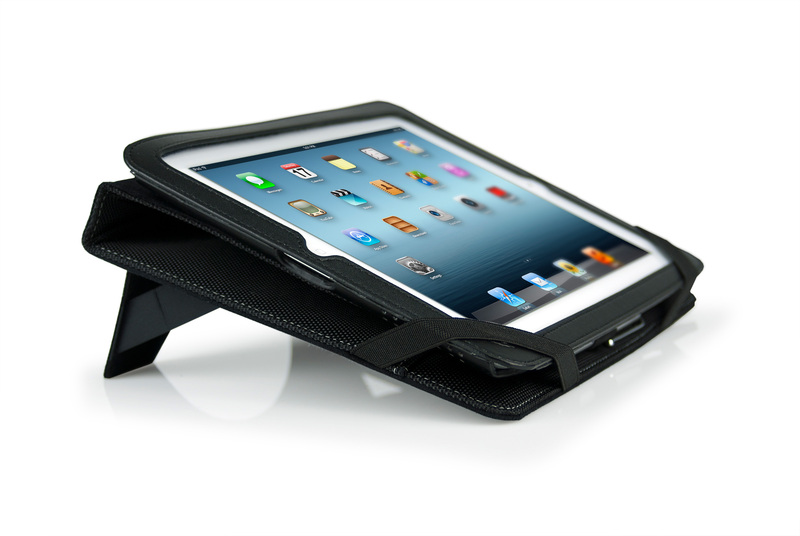 I wouldn’t be exaggerating if I said I’m yet to come across an iPad case that is more functional than Swivel ProFolio™. In fact, it features just about everything I would have liked to see in an iPad portfolio case, except for a magnetic front lid of course. It is lightweight, it is extremely durable, looks pretty decent, has a built-in kickstand for typing as well as has the ability to function as an upright stand for FaceTime or watching videos, has a 360º rotating self adjusting handle and even has a dedicated loop for a stylus. ROTATING HANDLE: The fully rotating/swiveling handle is completely self-adjusting. The self-adjusting hand strap (handle) is designed to avoid that annoying noise velcro makes. This is a key design feature if you’re ever in a professional situation or simply don’t want people staring at you every time you use your iPad. WORK MODE: The built-in, flush-mount kickstand is perfect for typing on the iPad’s keyboard or if you want to view the iPad’s screen at a lower angle. The Swivel ProFolio’s typing kickstand also has a convenient center cutout just incase you want to use your iPad while resting it on one leg. VIDEO MODE: The Swivel ProFolio’s design accommodates multiple upright angles for watching videos or using your iPad in a more upright viewing angle. 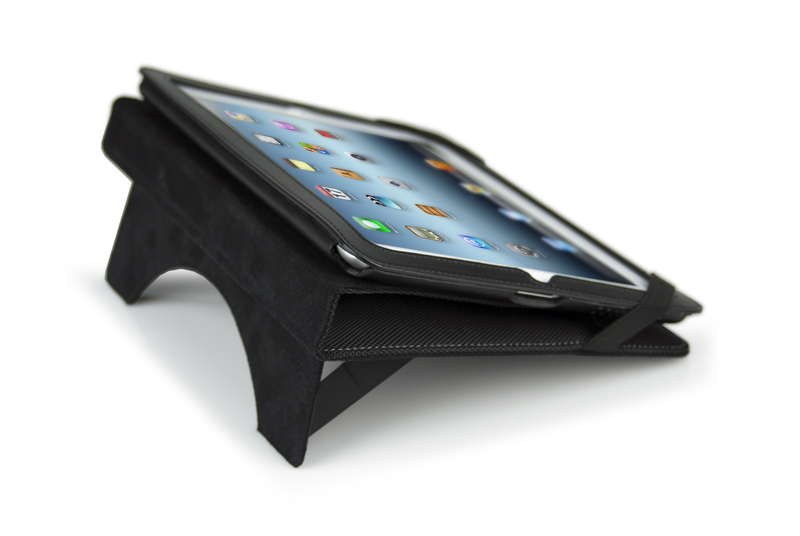 The ability to adjust the upright angle is key to any iPad cases’ versatility. Whether you’re reading, sitting at a desk or laying in bed, the correct angle of viewing always enhances the experience. 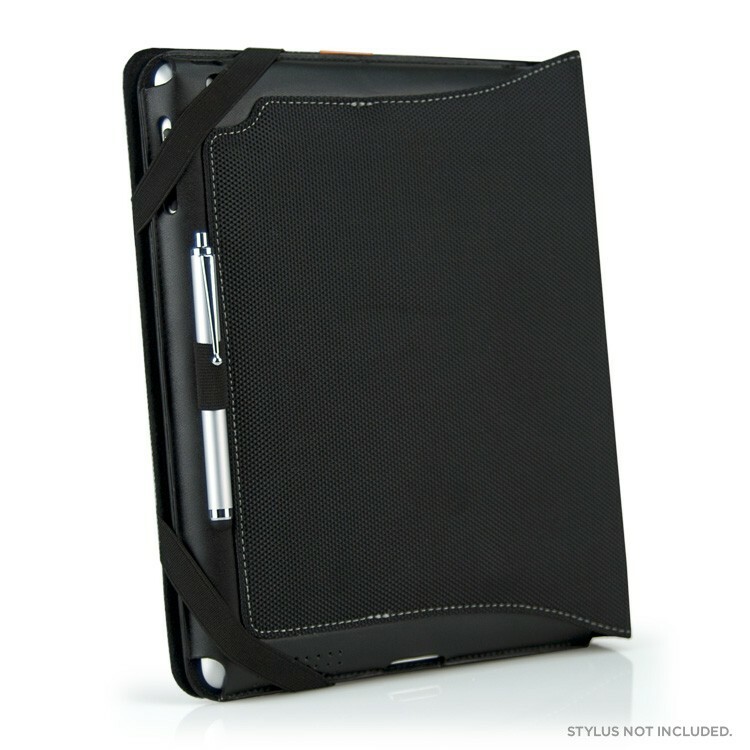 PEN HOLDER: The built-in pen or stylus holder on the side for he Swivel ProFolio iPad case is made of elastic and will accommodate almost any pen or stylus on the market today. 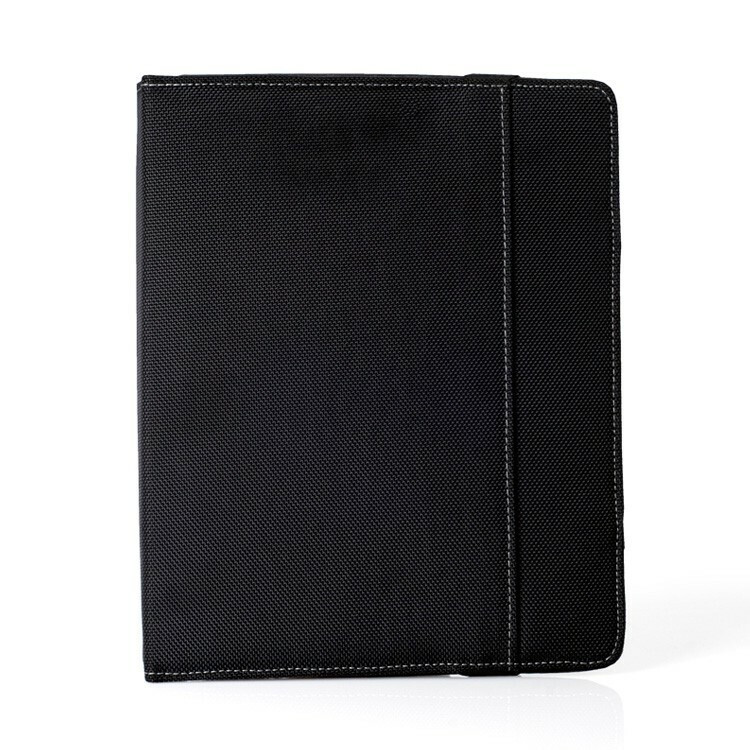 POCKET: The external pocket on the front of the Swivel ProFolio iPad case is convenient for holding business cards, notes, receipts, etc… Because this iPad case will hold a pen/stylus the packet is perfect for holding a small note pad just incase you need to jot down a note quickly. 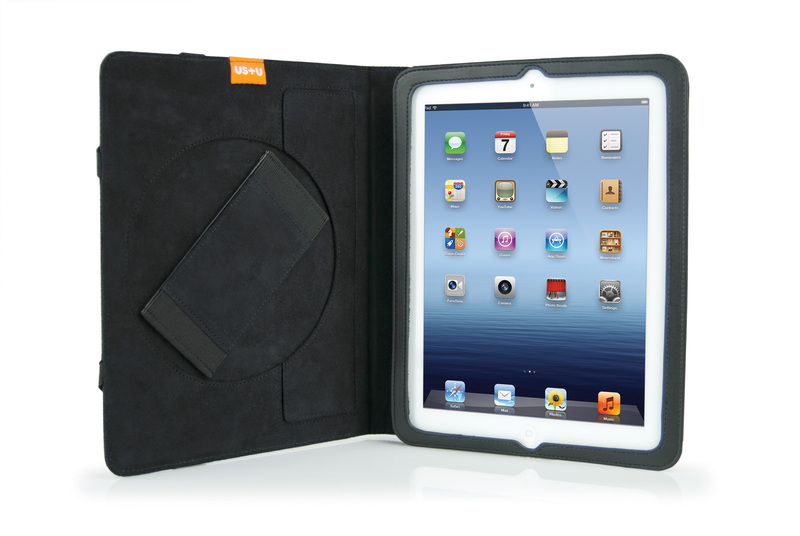 OPENINGS: All of the essential openings on the Swivel ProFolio iPad case are as they should be…those opening include both front and rear facing cameras, volume, screen lock, docking, speaker and on/off buttons are fully accessible. We even left the light sensor uncovered, something other cases fail to do. Some might think that the Swivel ProFolio™ is primarily aimed at commercial or corporate use but in my personal opinion, any iPad 2 / New iPad owner looking for a functional portfolio-style case would be extremely satisfied with this one. Like Us+U Official Fanpage on Facebook.. Follow @iPhoneInCanada & @DrUsmanQ (thats me) on Twitter so we can get to you via a Direct Message if you win. Otherwise we will have no way to contactyou directly. Congratulations to our winners and many thanks to everyone who participated!